Suhoor events were organised in Dubai, Abu Dhabi, Riyadh and Bahrain. 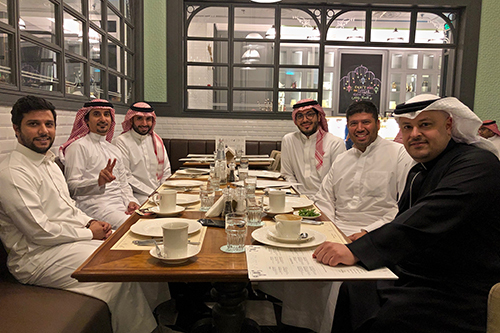 To mark the communal spirit of Ramadan, the City Middle East and North Africa (MENA) Alumni Chapter organised Suhoor (pre-dawn) meals in several cities around the region, bringing together alumni for a fun-filled evening of food and conversation. 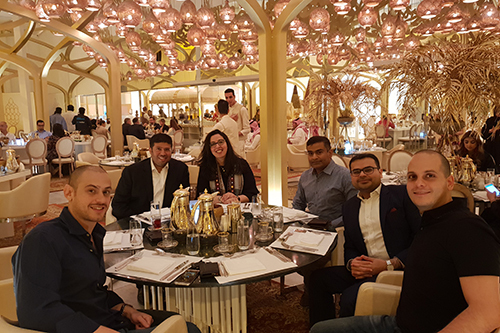 Co-sponsored by the City Alumni Relations Team, the Suhoor events were held in Dubai, Abu Dhabi, Riyadh and Bahrain to offer members of City’s vibrant graduate community living in the region the opportunity to enjoy traditional Arabian hospitality and catch up with old friends. Ramadan is a special time of the year when friends take time out of their hectic schedules to reconnect over a meal. These Suhoor events attracted a good turnout, thanks to the efforts of the Chapter’s Alumni Ambassadors who are instrumental in cultivating the alumni community spirit around the region. Next year we plan to host similar events in other parts of the region such as Cairo, Amman and Beirut.